Buy Online Now! 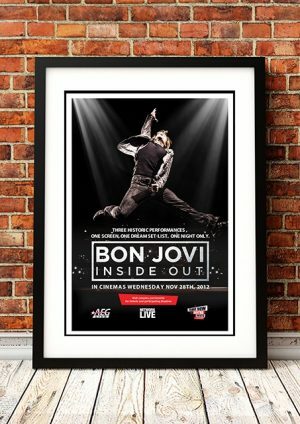 - Bon Jovi Rock Concert Posters and Memorabilia. 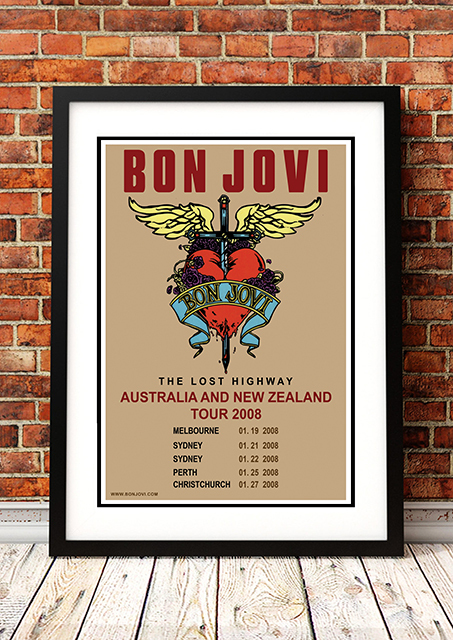 Bon Jovi achieved widespread global recognition with their third album, Slippery When Wet. The band’s fourth album, New Jersey was equally successful in 1988. 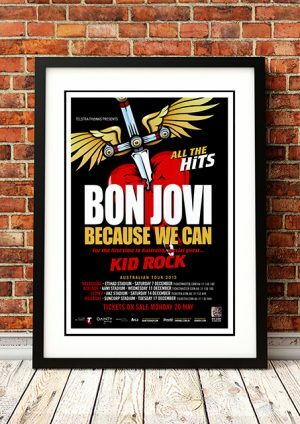 Thus far, Bon Jovi has released 13 studio albums, plus two compilations and two live albums. They are one of the world’s best-selling bands of all time, having sold more than 130 million records worldwide and performed more than 2,700 concerts in over 50 countries for more than 34 million fans. We stock a couple of awesome Bon Jovi band concert posters. Available in different sizes and printed on high quality 210gsm paper, you’ll find no unsightly pin holes, stains or creases. In fact it looks like it could have come straight off the press from the original print run.